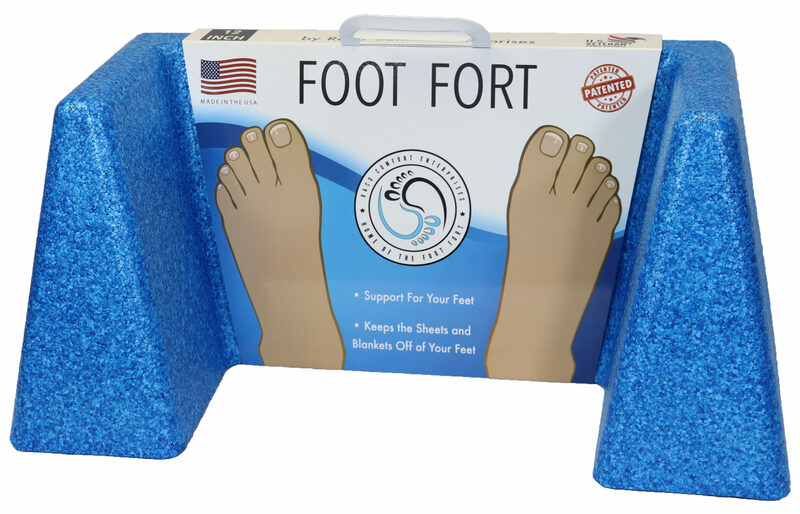 The Foot Fort is a patented product designed to help support your feet when you sleep while also keeping your feet in an upright position. It also keeps the sheets and blankets off your toes and feet for comfortable sleep. Our 18" roller works great with the Foot Fort to help raise your knees off the bed when sleeping on your back. This will give you the feeling of side sleeping when you're forced to be on your back due to surgery. It is more than just a knee support, it can also be rolled down your calf to help raise your heels off the bed. Keep an eye out on our YouTube channel for exercises to help stretch out your feet and legs.